Your boutique business destination Surrounded by lush gardens in the hub of Johannesburgâ&#x20AC;&#x2122;s northern suburbs, The Peartree in Craighall Park caters for groups of fifteen through to 100 guests in three well-appointed and equipped business suites. Breakfast meetings, working lunches, indoor or outdoor dining, half-day and full-day packages including all welcome refreshments, teas and lunches are offered in Standard, Gold and Platinum packages. Secure parking, Wi-fi, lockable space, all underpinned by highly qualified and helpful staff dedicated to ensuring your event is a success, make The Peartree a destination of choice. s South African engineers we are proud of our community, we have a reputation for hard work and innovation in many parts of the world, but we seem to be forgetting that our reputation is not based on what we were taught in the classroom, rather on what we learnt from our betters in the wider world. values may no longer be imparted to the younger segment of our community. In recent years there has been a strong focus on increasing the number of graduates coming out of tertiary education (at my institution there has been a 5-fold increase in output in a decade). Most of us are aware that to meet this demand, academia has wrestled with many challenges resulting in updated curricula. Assessments have been streamlined and the digital era has been embraced. We can no longer rely on the passive interactions of the past (or our absentee regulator) to instill the culture of South African engineering on the new generation. If we want to maintain our standards of practice and reputation, we now need to plan how new additions to our community are socialized. Contemporary graduates have a range of classical skills that will be familiar to the old guard but have also accrued a range of new skills. Some institutions have even begun emphasizing the ever-illusive ‘soft skills’ that the public at large wants us to have. The question here is; now what? With their sheer number, the newly graduated engineers will dominate how South African engineers are seen globally and their behaviour will reflect all our values. 28 Colonialism or an Upliftment Opportunity? All rights reserved. 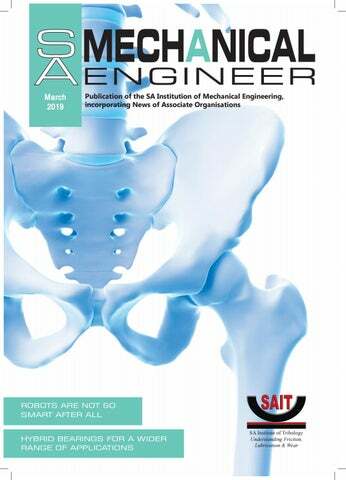 No editorial matter published in “SA Mechanical Engineer” may be reproduced in any form or language without written permission of the publishers. While every effort is made to ensure accurate reproduction, the editor, authors, publishers and their employees or agents shall not be responsible or in any way liable for any errors, omissions or inaccuracies in the publication, whether arising from negligence or otherwise or for any consequences arising therefrom. The inclusion or exclusion of any product does not mean that the publisher or editorial board advocates or rejects its use either generally or in any particular field or fields. 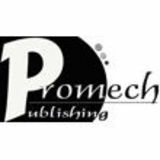 PROMECH Publishing and The South African Institution of Mechanical Engineering as well as any other body do not take responsibility for the opinions expressed by individuals. Job Creation through Local Manufacturing The SAIMechE is partening with the Local Southern African Manufacturing Expo (LME) taking place from 21 to 23 May 2019 at the Expo Centre, Nasrec. Approximately 50-70% local content in products would be considered acceptable to the future growth and sustainability of the local manufacturing sector. This is according to Eric Bruggeman, CEO at the South African Capital Equipment Export Council (SACEEC). Eric cites Transnet’s delayed pipeline project as a great example of how local manufacturers could help to build the country’s economy and reduce unemployment. The project, which has been plagued by numerous delays, was finally completed in early 2018. A local manufacturer of valves received a substantial order to replace the existing valves after products from two different sources had failed to produce a positive outcome. Training Institute (ATI) is hosting the Skills Development Zone. Other Association partners include International Steel Fabricators (ISF), and Mining Equipment Manufacturers of South Africa (MEMSA). “We are very excited at the potential that the Local Southern African Manufacturing Expo will provide for local manufacturers to market themselves to a captive extended audience. The exhibition will not only allow them to showcase their products and services in an interactive manner, but will furthermore equip them with the skills needed to drive entrepreneurial innovation and aftersales service. It will also create a fertile environment for visitors to find the right BBBEE and technology partners,” says Eric. Biolubrication: Beyond Tribology Frictional processes in living systems (and their modulation through biolubrication) differ fundamentally from the usual tribological wear and tear effects such as in machines, or more generally between sliding inert surfaces. cell mechanotransduction, may lead to better treatment of osteoarthritis. Over the past 15 years or so, hydration lubrication has emerged as a new paradigm for understanding lubrication in aqueous and biological environments [1 â&#x20AC;&#x201C; 4]. In this mechanism, water molecules in the hydration layers surrounding ions, zwitterions or polar groups can provide lubrication through their property of being strongly bound while at the same time very fluid. Thus they resist being squeezed out under normal stresses but behave fluidly, providing very weak shear or frictional resistance, when sliding. These together combine to make such hydration layers, and the groups carrying them, particularly efficient lubrication elements in aqueous, including biological media. Phosphatidylcholine (PC) lipids can form highly lubricating boundary layers PC lipids have a di-acyl tail attached to a zwitterionicphosphocholine head-group. Such phosphocholine head-groups are exceptionally well hydrated, and can provide extremely efficient boundary lubrication when they are in a 2-D or quasi-2-D array, such as in liposomes (vesicles with a lipid bilayer membrane) or in layers/multilayers. Lipids naturally form layered structures in water as their hydrophobic tails bind adjacent lipids while their head-groups (for the case of PC lipids) expose a highly hydrated surface. When two such layers slide past each other, as illustrated in fig. 1, a very low friction coefficient may result, up to physiologically high pressures of hundreds of atmospheres [5,6]. Lubrication between articular cartilage layers which coat the contacting ends of the major human joint-bones, has long been studied because of its direct relation to osteoarthritis (see review in ref. ). While several modes of lubrication have been examined, including fluid films, it appears from experiments on whole joints that boundary lubrication by molecular layers at the cartilage surface is the dominant mode [8,9]. The main molecules which have been implicated in this have been hyaluronic acid (HA), which is a long, linear polysaccharide; lubricin, which is a rod-like protein; and PC lipids. Based on recent work in our group, we have proposed that these combine to form a boundary layer where all three act together, as illustrated in fig. 2 (adapted from ), with the phosphocholine headgroups exposed at the actual slip plane to provide the low friction via hydration lubrication as in fig. 1. Friction at the cartilage surface, and the resulting shear stress, may transmit strain through the tissue to the embedded chondrocytes, which are the cartilage-generating (growing) cells. This is illustrated in fig. 3 (adapted from ref. ) The shear strain ε experienced by chondrocytes embedded in the cartilage as shown schematically in fig. 3 is related to the pressure P, the cartilage shear modulus K and the friction coefficient µ as ε = µP/K. Thus substantial strains may be transmitted unless the friction coefficient remains sufficiently low. Chondrocytes are known to be sensitive to shear strains, as noted in the Introduction, and indeed there is evidence [7,10] that shear strains cause them to produce excess amounts of cartilage-degrading enzymes. One scenario, therefore, relating friction to osteoarthritis (OA) is where increased friction (arising for example from some traumatic event such as a sports accident, or other more natural causes) results in chondrocyte shear strain, which in consequence leads to up-regulation of cartilage-degrading enzymes. These in turn, through their degrading of the cartilage surface, result in higher friction, thus higher strain and an increased enzyme production, and so on in a self-reinforcing cycle which eventually leads to the major cartilage degradation associated with OA. A better understanding of lubrication at cartilage surfaces (and other sliding surfaces such as in the eye between the eyelid and the cornea) can lead to treatments which may augment nature’s lubrication mechanisms. Hydration lubrication is increasingly recognized as a main mode of boundary lubrication in biological systems. At cartilage surfaces in particular, it has been proposed to act via PC lipids complexed in boundary layers with other macromolecules, exposing their highly-hydrated head-groups at the slip-plane. A possible approach to exploit this may be to introduce PC lipids, suitably augmented with other macromolecules, to augment the body’s natural lubrication mechanisms. Raviv, U. and Klein, J., ‘Fluidity of bound hydration layers’ – Science 297, 1540-1543 (2002) 1. Briscoe, W.H., Titmuss, S., Tiberg, F., McGillivray, D.J., Thomas, R.K., Klein, J., ‘Boundary lubrication under water’, Nature 444, 191-194 (2006) 2. Ma, L., Gaisinskaya, A., Kampf, N. and Klein, J., ‘Origins of hydration lubrication’, Nature Communications, | 6:6060 |DOI: 10.1038/ ncomms7060 (2015). 3. Klein, J., ‘Hydration Lubrication’, Friction 1, 1-23 (2013). 4. Goldberg, R., Schroeder, A., Barenholz, Y., Klein, J., ‘Boundary Lubricants with Exceptionally Low Friction Coefficients Based on 2D Close-Packed Phosphatidylcholine Liposomes’, Advanced Materials, 23, 3517-3521 (2011) 5. 6. Jahn S, Seror J, Klein J. ‘Lubrication of articular cartilage’. Annu. Rev. Biomed. Eng. 18:235–58, DOI: 10.1146/annurev-bioeng-081514-123305 (2016) 7. Wright, V.; Dowson, D., Lubrication and cartilage. J. Anat. 1976, 121, 107-118. 8. Little, T.; Freeman, M.; Swanson, A., Experiments on friction in the human hip joint. In Lubrication and wear in joints, Wright, V., Ed. Sector Publishing: London, 1969; pp 110-116 9. Burleigh, A.; Chanalaris, A.; Gardiner, M. D.; Driscoll, C.; Boruc, O.; Saklatvala, J.; Vincent, T. L., Joint immobilization prevents murine osteoarthritis and reveals the highly mechanosensitive nature of protease expression in vivo. Arthritis and Rheumatism 2012, 64, (7), 2278-2288. Committed to SA and Africa Bosch Rexroth recently opened their new facility in Kempton Park, Gauteng. “SA Mechanical Engineer” attended the launch and toured the facility with various dignitaries including the German Ambassador to South Africa. he new building is home to six companies: Hytec, Tectra Automation, Hytec Services Africa, HYSA, Hägglunds and Bosch Rexroth South Africa. Allow the group to expand its footprint as a knowledge centre for some of the continent’s leading technical minds in fluid power and automation technologies Staff were invited to name the building and chose Rexroth Hubb, with Hubb standing for ‘Hytec Unified By Bosch.’ The six companies relocated to the Kempton Park site in 2018 and are now under one roof with centralised production, training facilities, engineering, sales and support offices. Tillmann points out that the significant expansion of training facilities across the hydraulics and pneumatics fields, as well as the rapidly-developing discipline of mechatronics, will allow the group to expand its footprint as a knowledge centre for some of the continent’s leading technical minds in fluid power and automation technologies. “Sharing the premises with Bosch Rexroth’s South African product development and support division further consolidates and increases proximity between Bosch Rexroth’s R&D and manufacturing centres in Germany and our 40 branches across Africa,” he adds. “The Hubb expresses our ambition and optimism to further grow the business. We feel challenged to service our customers better and strive for excellence, making them more competitive and forcing more growth and job creation in South Africa,” says Bosch Rexroth Executive Board member Dr Markus Forschner. German Ambassador to South Africa, Martin Schäfer supports the idea of a new dawn in the country. “We support the new dawn and are positive we can make a contribution to the turnaround of this country, which is very important for South Africans and Germany.” “This is a real show of confidence in the country,” adds Department of Trade and Industry director general, Lionel October. Stephen Dondolo (CEO African Pioneer Group and director of Hytec & Bosch Rexroth South Africa), Dr Markus Forschner (executive president and chief financial officer, Bosch Rexroth AG), Lionel October (director-general, Department of Trade and Industry), Martin Schäfer (German Ambassador to South Africa), Tillmann Olsen (CEO, Bosch Rexroth South Africa) and Dr Markus Thill (president, Bosch Africa) cut the ribbon, marking the official inauguration of the Rexroth Hubb. Introducing the new ARTISAN Challenges faced by the mining industry today such as increasing production costs, depressed commodity prices and the high cost of electricity, are forcing the mining sector to embrace the Fourth Industrial Revolution as it brings industrial transformation. uch developments will bring the training colleges and artisan training centres to the forefront, as workers now need to be upskilled to work alongside technology in the mining sector. is that they will communicate with the equipment via the Internet of Things. They will not only know that a certain pump has stopped, they will know why. The pump, its motor and control systems will be connected to an industrial network. An Artisan 4.0 will also know about internet protocols, IP addresses, how to set up networks, how to configure wireless devices. A smartphone and tablet computer will be alongside a set of sockets and screwdrivers in the toolbox.â&#x20AC;? Industry 4.0, with the current trend of automation and data exchange in the industrial environment also includes cloud-based systems. It leads to improved safety and security, efficiency and therefore reducing production costs. It also has a positive effect on the maintenance load of the mine as preventative maintenance can be carried out. Communication between machines and the plant maintenance staff reduces downtime while preventing complete breakdowns. Modern technology creates a demand for skilled labour, and so the Colliery Training College began to roll out its Artisan 4.0 initiative. Robots Still Too Stupid For Human Jobs People working in the manufacturing industry tend to see the Fourth Industrial Revolution as yet another nail in the coffin of an already weakened industry. But without downplaying the challenges, there is another view. s the Fourth Industrial Revolution unfolds, we could see an increasing number of existing jobs in part or in whole taken over by machines. But we are a long way off any machine being able to counterfeit the human ability to reason and, crucially, to interact on a personal level. in a complex manufacturing process to design, test, produce, distribute and service tyres, for example. Gartner predicts that while artificial intelligence will automate 1.8 million people out of work by 2020, we will create 2.3 million new ones - a gain of 500 000. For companies with existing work forces, the first dumb technology actually is when compared to a challenge is to prepare existing employees to make the transition to a radically different way of workhuman assistant. The same dynamic is even truer PPS is an authorized Financial Services Provider. We are currently piloting new ways of transmitting knowledge which, when perfected, will play a vital role in preparing our people to transition to a new type of job, likely one that will involve the higher value, relationship-building service end of the business. A key competency to master will be that of being able to unlearn old and learn new, enabling one to be far more agile in adapting to constantly changing roles and skills required. It is no longer only about what you know at any given point in time, but rather how quickly you can adapt and learn. technology, and 4IR is supremely technology-driven, is susceptible to hype. This means that the expected .redivorP secivreS laicnaniF dezirohtua na si SPP changes can seem as though they are just around ing in a radically different work environment. The the corner. In fact, it will be a long time before all second will be to play a role alongside government the existing manufacturing facilities and processes in somehow ensuring that our deeply flawed edu- are fundamentally changed. cational system is retooled to start producing a new generation of workers with skills suitable for Bridgestone South Africa the new workplace. When it comes to existing workers, it is clear that traditional skillsâ&#x20AC;&#x2122; training is not going to be effective. South Africa’s perfect blend of ingredients provides the ideal backdrop for this international Congress: adventure, wildlife, magniﬁcent scenery, rich cultural diversity, and efﬁcient infrastructure. Few countries in the world can match the fun, beauty and excitement you will ﬁnd in South Africa. At the foot of the vast continent of Africa is Cape Town, host city of the FIATA World Congress 2019, also known as South Africa’s “Mother City”. Cape Town is set in a dramatic landscape of exquisite natural beauty, nestled between the majestic Table Mountain and the sea, and is widely regarded as one of the most beautiful cities in the world. Consistently named one of the best conditioned courses in South Africa Golf Digest Annual Top 100 – playing at Steenberg Golf Estate should be on every serious golfers’ bucket list. The golf package includes green fees, transport, meals and drinks. Signup for the tournament when you register for the Congress. EARLY ACCOMMODATION SPECIAL Choose from among some of Cape Town’s most convenient Congress hotels, with prices and star-ratings to suit all budgets. Participants that book and pay in full before 30 April 2019 will beneﬁt from special discounted accommodation rates. Fabricating For 25 Years Last year marked 25 years of service for Babcock’s fabricating facility of providing products and a full range of specialised support services to Africa’s power generation and metallurgical industries. avid Brook, Technical Director at Babcock says, “We have always been highly adept at being able to conceive, design and implement radical solutions; however, it became clear over time that the slowest and most critical aspect of being able to deliver was the final manufacture, which was then being undertaken by ICAL (International Combustion of Africa Limited) and other fabricators. The company boasts a comprehensive inventory of fabrication equipment including tube bending, tube-end forming and bevelling equipment With the dissolving of ICAL in 1993, the opportunity arose for Babcock to establish its own fabrication capability and with some R2.3 million of orders on hand, a team of 10 staff set up shop to complete the projects and prepared to secure additional orders. The factory undertakes both new boiler projects as well as the manufacture of replacement parts for existing boilers. The workshops are equipped to deal with high pressure tubular fabrication and tube manipulations as well as welding and assembly of high pressure tubular components. a successful economiser modular replacement and turbine loop piping replacement. Other customers include numerous energy users in the petrochemical, chemical, sugar, paper, water, mining and associated process sectors, with pressure pipes, boiler tubes, membrane furnace panels and various other items fabricated to customer requirements and/or design. The facility uses all types of welding including MMA, GTAW, GMAW and SAW, and any materials from normal carbon steel up to the 1% and 2¼% chrome steels as well as high temperature, high strength, creep resistant steels are used. ROBUST AND DURABLE Tough operating conditions are the norm in the mining sector, which is why Colin Adams, managing director of Integrated Pump Technology, warns that companies need to specify high-quality OEM products. Slurry pumps need to be up to the task of handling high volumes of abrasive material, and when this is not the case, these failures lead to costly production downtime with the obvious knock-on effects.” Integrated Pump Technology is the authorised distributor for Grindex submersible pumps and included in its product lineup is the Grindex Bravo range. Colin says these robust, durable and high performance pumps offer a good return on investment as the units are engineered to achieve lower operating and maintenance costs. Adjustment Technology Recognising that throatbush wear rate has a major impact in the overall efficiency of slurry pumps, Weir Minerals has developed superior rotating and axial adjustment technology. n many applications, the pump’s throatbush is the component that has the shortest life compared with the impeller and liners, with considerable variability. the front of the pump unit. Manually adjusting an alloy throatbush on a large pump requires several people and is labour intensive. It requires mechanical tools to adjust the four pusher bolts, one at a time, in order to reduce the gap between the throatbush and impeller. ”We wanted to find a safer and quicker way to extend the wear life of the pump with regular adjustments, which led us to development of this technology,” states Marcus Lane, Global Product Manager for Centrifugal Pumps for Weir Minerals. “Our automated throatbush adjustment solutions are available for pumps fitted with either rubber or alloy throatbushes on Warman slurry pumps used in the most arduous applications, and have been designed with our customers’ safety and pump operation in mind. By mechanising the adjustment procedure, personnel are removed from the line of fire, and the accuracy of axial movement is increased,” states Ron Bourgeois, Director of Slurry Pumping Technology Group for Weir Minerals. The company’s automated adjustment systems speed up the process, allowing for more frequent adjustments with minimal effort. When maintaining an alloy throatbush, all four bolts are adjusted at the same time to ensure even adjustment and accurate positioning, improving the wear life of the throatbush. PIPES, PUMPS AND VALVES through without catching and tearing the rubber. The localised surface wear is usually near the discharge position, but by slowly rotating the throatbush, we even out the material loss over the entire face. Field results have been very positive, showing an average of 40% increase in wear life,” states Ron. For the smaller Warman slurry pumps used in medium to heavy duty applications, the company offers a single point adjustment mechanism, providing both axial and rotational repositioning. This allows one individual to safely stand to the side of the pump while making the adjustment. Mining operators who have trialled this adjustment technology have reported improved wear life and safer, simpler maintenance through the process of regular adjustment. Weir Minerals has already taken its adjustment technology one step further by integrating it with their IIoT Synertrex platform to offer predictive maintenance feedback. Turnkey Solution: A Market First Following the launch of the TLT-Turbo Africa in 2018, German based ventilation firm, TLT-Turbo (GmbH), has concluded the consolidation of several South African based operations to become the continent’s first and only complete, turnkey mining, energy and industrial ventilation solutions provider. Over the past two years, the TLT-Turbo Africa board, under the global leadership of TLT-Turbo, has worked towards the complete integration of product, service and project capabilities. Our objective is to provide our clients with an absolute turnkey approach to ventilation solutions,” says TLT-Turbo Africa Managing Director, Luther Erasmus. Consolidating our African operations opens a doorway to a broader local and international client base TLT-Turbo manufactures radial and axial flow fans for virtually any industrial application and is regarded as one of the world’s leading manufacturers of technology-driven industrial fans and ventilation systems. First-rate engineering, tradition and advancements in air handling technology, along with a worldwide support network, have been the cornerstones of their global reputation as a fan and systems manufacturer over the past 150 years. “One of our main objectives following the complete consolidation of TLT-Turbo Africa’s operations is to produce and distribute a full range of ventilation products for the mining, industrial and power markets for South Africa and sub-Saharan Africa. In future, our product lines will be based on the group’s unique, proprietary ventilation solutions,” says Luther. To enhance TLT-Turbo Africa’s service offering, LH Marthinusen (LHM), a division of Actom, has been appointed as the group’s authorised service partner. LHM will be responsible for the maintenance and refurbishment of the full range of TLT-Turbo fans, as well as the distribution of spare parts on an exclusive basis in South Africa and on a nonexclusive basis in 20 other sub-Saharan countries. LHM will provide routine maintenance services on both new and installed TLT-Turbo products, like the 36 large induced draft fans at Majuba, Medupi and Kusile power stations, other installed surface and process fans, as well as their range of auxiliary fans, axial flow and centrifugal fans. LHM has been given full access to the design expertise of TLT-Turbo’s engineering team allowing them to perform service and efficiency upgrades on third party fans for TLT-Turbo clients as well. VENTILATION from a larger supply and services footprint with global support infrastructure from TLT-Turbo and its parent company PowerChina Corporation,” says Rainer. Luther explains that in 2019, TLT-Turbo Africa will focus on the expansion of its SSA footprint which will lead to future investment for the expansion of TLT-Turbo Africa’s projects offering and manufacturing facilities to support the expected growth in the SSA mining industry and industrial applications. “Ultimately, we now have the deepest and widest fan and ventilation offering of any firm on the continent. No competitor offers the extensive range of fans that we do or addresses the broad range of solutions that we can, all alongside the R&D, engineering and supplementary services offered by TLT-Turbo Africa,” claims Luther. “This complete offering provides clients with a single source for design, development, distribution, product support, and customer service. Seamless integration of all these elements means maximum client value and assures our clients that they are being supplied a quality product along with the highest level of long-term product support. This is also consistent with our approach that offers our clients the best Total Life Cycle cost solution,” he concludes. TRACE due diligence solutions are based on internationally accepted best practices and our experience and familiarity with the compliance needs of multinational companies. Services range from a denied parties screening to enhanced due diligence, including TRACE Certified Due Diligence. International, Inc. globally recognized ti-bribery business organization and g provider of third risk management solutions. Hybrid Bearings New research could make hybrid bearings more cost-effective and reliable, paving the way for their use in a wider range of applications. Can have issues with damage tolerance in the form of sensitivity to imperfections that may pre-exist in the material or on the surface. make them ideal for bearing applications. Modern ceramics such as silicon nitride are hard, light and can be manufactured with an extremely smooth surface finish. materials can have issues with damage tolerance in the form of sensitivity to imperfections that may pre-exist in the material or on the surface. To reduce the occurrence of such problems in service, ceramic bearing components are manufactured under extremely tight quality conditions. One particular challenge for manufacturers is that they haven’t historically had good models for the damage-tolerance of ceramic bearings. Some surface imperfections are so small that they have no effect on the performance or longevity of a bearing, but without knowing exactly where the acceptable limits lie, manufacturers have had to take a conservative approach. occur if the component experiences an impact and surface voids. The bearings or ceramic components were then tested on a rolling contact fatigue under a wide range of loading and lubrication conditions until failure or suspension. The SKF team used its findings to build a new model based on fracture mechanics to predict the damage tolerance of ceramic rolling elements. “We based our work on fracture mechanics, but we added some extra elements that account for the unique properties and failure mechanisms of ceramic materials under the relevant operation conditions of hybrid bearings in applications,” explains Junbiao Lai, a senior scientist at SKF. Colonialism or an Upliftment Opportunity? The rise of cryptocurrencies has both positive and negative implications for Africa, and the world. How their use is managed will determine how well they benefit those most in need. t is quite clear that we are developing into a society that is completely driven by information and reliant on technology. As we evolve along this path, those who succeed will be those who are able to equip themselves to handle this future by grasping the fact that the entire paradigm has shifted significantly, says Fay Mukaddam, CEO of 4AX. reason for the financial services and capital markets to be any different. After all, the aim of the game, whatever the industry, is always to see how we can encourage the inclusion and participation of as many people as possible within financial markets, and make things simpler for the client or end-user, using technology,” she says. “With this in mind, there is both room and a need for a platform like Blockchain, which we believe offers enormous potential not just to the financial sector, but to industries across the spectrum. Of course, the one that is most often talked about in finance is cryptocurrencies, which is ultimately nothing more than an application built on top of Blockchain technology,” Fay adds. There are a lot of conflicting opinions across global markets as to the benefits cryptocurrencies may offer. Fay believes that before we can truly attribute value to it, we need to both understand what it does and how it may improve things. We also need to contemplate the fears and anxieties it raises, such as the concern around moving large values across borders in a situation where there is no regulatory control. There is certainly more value to be gained from such technologies than there are things to be feared. “The answer most likely lies in managing it and contextualising it properly. The regulators certainly need to approach it from this angle, rather than from a point of fear and anxiety. As the latter will only lead to them wanting to shut it down. “From an African perspective, I think we clearly need to recognise the potential that cryptocurrencies offer to the continent, and thereby help close the socio-economic disparity gap,” says Fay. “If we consider just the opportunities this opens for cross-border trading in Africa, the benefits are obvious. No doubt there are challenges that come with this, not the least of which is the sovereignty issues relating to the taxes and customs fees that would be applicable, if we are talking about a physical entity.” However, Fay still believes that cryptocurrencies offer immense opportunities in terms of economic development where, for example, the BRICS community would be able to undertake cross-border trade without all the suffocating regulations that currently govern such a process. “The ease of trade and of movement that comes with this will ultimately help to encourage trade with partners, irrespective of where they are in the world. “I am, in fact, less concerned about the technology than I am the regulatory oversight, as it is imperative to ensure that there is full transparency and disclosure.” There are speculative market concerns that cryptocurrencies hold the potential to launch a new cycle of economic colonialism, where the rich use it to oppress the poor. A Showcase of Southern Africa’s Manufacturing Capabilities Who Will Exhibit? There Is Good Reason to Manufacture in SA Manufacturing remains a bridge the country has yet to build in its fight for economic growth and employment which is a great pity because the sector has huge potential, and there are more than a few good reasons to manufacture in the country. “SA Mechanical Engineer” talks to Evapco South Africa managing director, Andre van der Merwe. e sketches a picture of the global and local industry, and shared developments in the local economy that give more than a few rays of hope. “If you’re looking for an industry trend, look no further than the two hemispheres. The north is booming, the south is struggling,” as Andre has observed on his trips to the US, Evapco’s headquarters. “At the height of the 2008 crisis in the US there were empty lots and construction just stopped. Last year in Baltimore I noticed all the construction activity. Five big projects, and new cars on the road. Business is doing well,” Andre says. Low order books follow low levels of investment by the public and private sectors, impacting local manufacturers. There’s another concern as well – SA is not as competitive as it once was. Andre says Evapco manufactures the same products to the same standards as all their operations, making for easy and accurate comparisons on factors such as competitiveness. “I can tell you that 15 years ago Evapco South Africa was the cheapest producer. Now we are the most expensive. China is the cheapest.” “We changed from being the cheapest to the most expensive because of the increase in the steel price. Steel is the base of our products. Labour costs have also gone up, but skills development hasn’t kept up,” he adds. “These are some of the aspects that reduced our competitiveness.” This raises the question whether local manufacturers are viable and if the sector does have the touted potential. HVAC “The South African aircon industry had a few local manufacturers 15 years ago, but today they are mostly gone,” Andre notes. months the situation has been highlighted by applications for business rescue from two companies and Group Five is the latest casualty. Contrast this with the commercial retail mall industry that has shown ‘phenomenal growth’ and the food, perishables and wine industries. “We also supply a lot of equipment to refrigeration cold storage facilities for fruit, vegetables, and wine in the Cape. This has been a success story thankfully and there is more opportunity.” The net result is that the market has made up some of the deficit lost on the industrial side. But as Andre says, this is some, not all. Surviving and being profitable in South Africa has become a balancing act, Andre says with some industries struggling while others grow. A clear opportunity has been the drought in the Western Cape which has demanded innovative solutions, and showcased Evapco’s diverse product range. Customers in food and perishables have been forced to find cooling solutions that do not use too much water. “Some of our biggest customers are in the chrome and platinum industry, and they are struggling,” he says. So has the construction industry been hit hard by low investment from the private sector and reduced investment from the public sector. Evapco has a big R&D focus, making sure the company offers the best and most appropriate solution. “No other manufacturer has the same level of activity so we benefit hugely,” Andre says. Binning Plastic: The Answer Is Not What You Think Recently a 610m floating pipe connected to a huge net arrived at the Pacific Ocean Garbage Patch to begin cleaning up the biggest floating plastic waste island in the world. The organisation responsible for its design, the Ocean Cleanup Foundation, is hoping to eliminate the rubbish by trapping it in the U-shaped pipe, with a boat discarding the litter every few months. Amidst this news, Tim Stewart Executive: Packaging at Novus Holdings, takes a look at the issue of plastic pollution and asks the question, what really needs to change? e tend to blame plastic for polluting the environment, but the way we are using it might very well be the problem. Last year, Plastics SA released the audited results of the biggest pollutants found on our beaches during 2017. The majority of waste was food wrappers, plastic containers, bottle caps and lids. Plastic will always be around. It is our responsibility to commit to throwing our waste away – or better yet, recycling it. the world, it is the most common plastic and is primarily used in packaging such as plastic bags, plastic films, wrappings, geomembranes, rotational moulded tanks, etc. Many local retailers have started making a concerted effort to do their part in reducing plastic waste and are introducing different alternatives for single-use plastic bags. However, all materials used (plastic, paper, cotton or fabric) have an impact on the environment. A recent study done by the Danish Environmental Protection Agency finds that plastic bags are, contrary to popular belief, kinder to the environment than many other re-usable bags, such as cotton or cloth bags. “This is because the entire production cycle isn’t taken into account when people assume that cotton bags are better for the environment. For example, it can take more than 20 000 litres of water to produce 1kg of cotton,” says Tim. The study went further to say that cotton bags have the worst impact on the environment; an organic cotton bag would have to be reused at least 149 times to make up for the negative manufacturing methods used to produce it. It found that plastic bags made out of LDPE plastic, like the ones found at retailers, have by far the lowest impact on the environment. In addition, it found that plastic bags should ideally be used as a garbage bags rather than disposing of them directly as waste. Other “heavy” plastic bags made out of polypropylene, recycled PET-plastic and polyester by contrast, should always be recycled. For example, a 100% recyclable LLD plastic bag that is also washable is currently being manufactured. This bag is also made from recycled material; is thicker than an ordinary plastic grocery bag (a sturdier product with added strength – robust for carrying up to 20kg) and; it can be used up to 200 times (before being handed in for responsible recycling). Off the Municipal Grid A sizeable South African commercial building has been taken completely off the municipal water grid. he District, in the heart of Woodstock in Cape Town, has become Growthpoint’s first water net-positive building. It is also the first of several commercial properties in Cape Town that the company intends to take off-grid. The multi-tenant office and retail building has seven floors and five basement levels with 18 721sqm of lettable area that accommodates a community of 25 businesses. It is used by around 1 750 people daily who together consume around 45 000 litres of water per day. At The District, a naturally occurring underground mountain spring flows to the building’s basement. For years this crystal-clear water has been pumped from the basement sump to prevent flooding. The water was pumped straight into the city’s storm-water system, where it flows into the sea less than a kilometre away. Before the city’s water crisis, Growthpoint investigated the possibility of using this sump water as greywater for flushing the building’s toilets. follow the process and learn how it works. Some 140 000 litres of water flow naturally through the sump each day, and the filtration plant has been designed to clean the entire flow. The legislation that the City of Cape Town drafted to enable Growthpoint to produce water on a large scale came into effect in November 2017, when the company was given the go-ahead to become a Water Services Intermediary. It can, however, only supply water to those with which it has a contractual obligation, its tenants. It does this at exactly the same rate as the municipality. Keeping the BIRDS away Thirteen Apex Traffic high speed doors have been installed at Bayer’s only manufacturing plant in Africa. James Candy, production manager at Apex Strip Curtains & Doors, explains that one of the primary requirements was to provide a solution that would prevent birds from entering the facility. The Apex Traffic high speed doors at the Bayer Nigel facility are required to accommodate forklift traffic moving palletised product to and from the warehouse section. This is a very busy warehouse operation with high volumes of traffic and the doors automatically opening, using sensors. “Ensuring smooth traffic flow is one of the key requirements in any warehouse operation and the opening and closing action of the Traffic High Speed doors is at 1 metre per second, allowing optimum materials handling and minimising of bottlenecking,” he concludes. The Apex Traffic high speed doors have been installed on the outside of all exterior openings. RELIABLE ENERGY SOLUTIONS for the entire mining sector. Zest WEG Group is able to offer a range of standard off-the-shelf products as well as end-to-end energy solutions by leveraging best practice engineering and manufacturing capabilities. All products are engineered to facilitate a safe and reliable mine and plant with operational stability and the highest possible production levels as an objective. Reduced maintenance and ease of serviceability assist in lowering the total cost of ownership for the mine. Efficient blowing Atlas Copco’s new generation of ZB 5 – 6 VSD+ magnetic bearing turbo blowers is said to be one of the most efficient oil-free turbo blowers on the market. The ZB magnetic bearing technology is extremely strong and ensures safe operation regardless of the environment. The shaft is always fully controlled due to the magnetic force which constantly adjusts its position. Monitoring chain wear BMG has extended its range of Tsubaki chain wear indicators, with its large size gauges. new large size indicators are available as individual items, rather than as part of a set. Why buy when you can rent? As part of its turnkey service offering to its customers, Goscor Compressed Air Systems (GCAS) offers its customers rental units. Warren Schultz, GM of GCAS, says the company has since acquired various additional units, especially in the portable range and downstream equipment, to bolster its rental offering and provide its customers with an even bigger range to choose from. GCAS distributes two globally renowned brands, Ozen and Sullair, and offers a range of compressed air solutions such as compressors, vacuum pumps, air dryers, air tools and value added products. Engineers responsible for mechanical engineering or ‘wet’ services, from suspending cable trays to HVAC, plumbing, and sprinkler-system piping, now have a lightweight, flexible solution available in the form of the fischer FLS channel system, distributed locally by Upat. “Available in sizes from 17mm to 30mm and 37mm, the system features 3 metre long lengths as opposed to the traditional 5 metres. In addition to the low weight, this makes it easily transportable,” explains Upat National Product Specialist, Charl Weber. Other features include the alternating long slots in the mounting channel, in addition to the form-fitting connector elements. This allows for optimised fixing in the substrate. Assisting in rare earths processing FLSmidth has been chosen as the supplier of an acid-bake rotary kiln to the Rare Earths Hastings Technology Metals (Hastings) Yangibana Rare Earths Project in Australia. The agreement means FLSmidth will design and supply the kiln and provide technical assistance for this essential component in rare earths processing. The incorporates concentrate mixing and feeding equipment, directs waste gas to a separate scrubbing facility and provides a natural gas fired heating system essential for the processing of rare earths. to have its own filter and metering station to procure natural gas directly from Sasol Gas. Hatch was the project and construction manager, while Energas Technologies was responsible for the E&I, mechanical design, fabrication and supply of the filter and metering skid, as well as the relevant equipment. Laetitia Jansen van Vuuren, Energas Technologies Product Engineer, notes that constructing the 800 metre of underground high-pressure gas line outside the plant recovery had its own challenges. “It had to cross many existing services of which the positions were unknown. We also had unseasonal rains which wreaked havoc on the production timeline. We also had four sets of directional drilling, including a 120 m-long single drill at which hard rock conditions were encountered,” she concludes. The Krebs Technequip TGW series of wafer-style knife gate slurry valves were designed as a space saving option for heavy duty applications. The replaceable elastomer sleeves offer a reliable sealing solution using the latest technology. The valve’s reliable operation is based on its full port design, which allows the gate to be fully isolated by the sleeves from the process in the open position. As the gate closes it pushes between the two sleeves, discharging a small amount of material out of the bottom of the valve. This prevents material build-up in the seat area ensuring full gate closure, as well as preventing damage to the gate. When the gate is in the open or closed position, there is a 100% bi-directional bubble-tight seal and zero downstream leakage. More data capture opportunities. Even in a limited space. Configure your IMx-8 and monitor your data wirelessly from your iOS or Android device. The IMx-8 can be fully configured via luetooth, and can use existing template configurations stored in the SKF Cloud. Machine data can then be viewed on your iOS or Android device. And with direct access to world-class software, analytics and support through SKF @ptitude or SKF Enlight, it’s the cost-effective route to high performance. stability up to 200°C. With these attributes, users can achieve up to twice the operating life and enhanced reliability. oil-free compressors have,” she says. A contaminant in the paint could have very serious consequences. Correctly specified motors save electricity Significant savings can be realised in the agriculture sector by leveraging available technology to provide appropriate electric motor and variable speed drives that will reduce owning and operating costs while providing reliable performance. The Weg IE3 Top Premium Efficiency motors and Weg Variable Speed Drives (VSDs), from the Zest Weg Group, will do just that. The Weg IE3 Top Premium Efficiency motors not only offer maximum ingress protection with a higher winding insulation system to increase motor life expectancy, but also offer efficiencies of up to 96.6% and the benefits can be seen when compared against IE1 standard efficiency motors. Bearings International has appointed Conrad Muller as Sales and Marketing Director. Conrad reports directly to Hudaco Industries Portfolio Executive Ernie Smith, who oversees the BI and Bauer Gear Motor divisions. Klaus Marggraff has been appointed Business Development Manager, Africa for Hytec South Africa. In his new position, Marggraff will promote the sales, upgrade and optimisation of systems throughout Africa. Freddie Kühn has been appointed to the position of Sales Director for Hytec South Africa. In his new role, Freddie Kühn will continue to report to Mike Harrison, General Manager, Hytec South Africa. We understand that youâ&#x20AC;&#x2122;ve been building your career piece by piece, and that all those hours, projects and plans allow you to live the lifestyle you deserve. Partner with PPS, and let us help you ensure your success is more than the sum of its parts. Proud sponsor of the SAICE Young Engineer of the Year. Visit pps.co.za to find out more about our financial solutions for graduate professionals. PPS is an authorised Financial Services Provider.